You'll be £14.99 closer to your next £10.00 credit when you purchase The Home Front in the Great War. What's this? The Great War was the first in our history to have a deep impact on every aspect of civilian life. In an overdue attempt to portray the real effect of the War on life at home, David Bilton examines all the major events of the period and charts their effect on everyday life for those trying to live a normal existence. Examples are the air raids by Zeppelins and aircraft, rationing and shortages, recruitment, changes in employment habits, censorship. Extensive use is made of personal accounts and the author draws on many photographs, newspaper and magazine material and ephemera to make this very informative and atmospheric book. 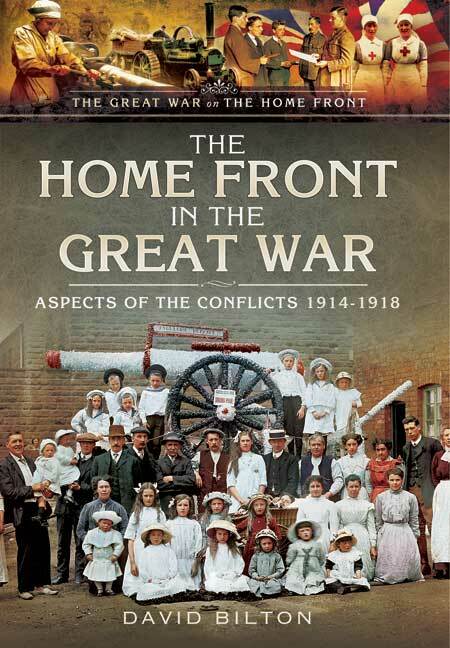 The Home Front in the Great War covers the British home front and the Hull area in detail. This book uses a good variety of images and are entertaining to read. The term ‘forgotten’ is being bandied about a lot during the present centenary period, often without much justification, but I do think that the home front during the war has at best been greatly overlooked, and is generally an aspect of war that most people would connect with the Second World War rather than the First. ...The sheer volume and variety of illustrations must be especially commended, superbly complementing the text with nearly every page accompanied by relevant pictures. This title is worth buying for the photographs and illustrations alone. The Great War had a deep impact on all aspects of civilian life and David Bilton has examined all the major events of the period, charting their effect on everyday life. The personal accounts, imagery and newspaper material make this a fascinating read. The book makes extensive use of personal accounts and photographs, as well as newspaper and magazine articles, all of which help to make an informative and atmospheric title. This book very ably sets out the Edwardian society that went to war as a complete nation, loyally supported by the peoples across the Empire, and the major changes to that society produced by total war. Recommended as an introduction to life at home between 1914 and 1918 - and profusely illustrated.